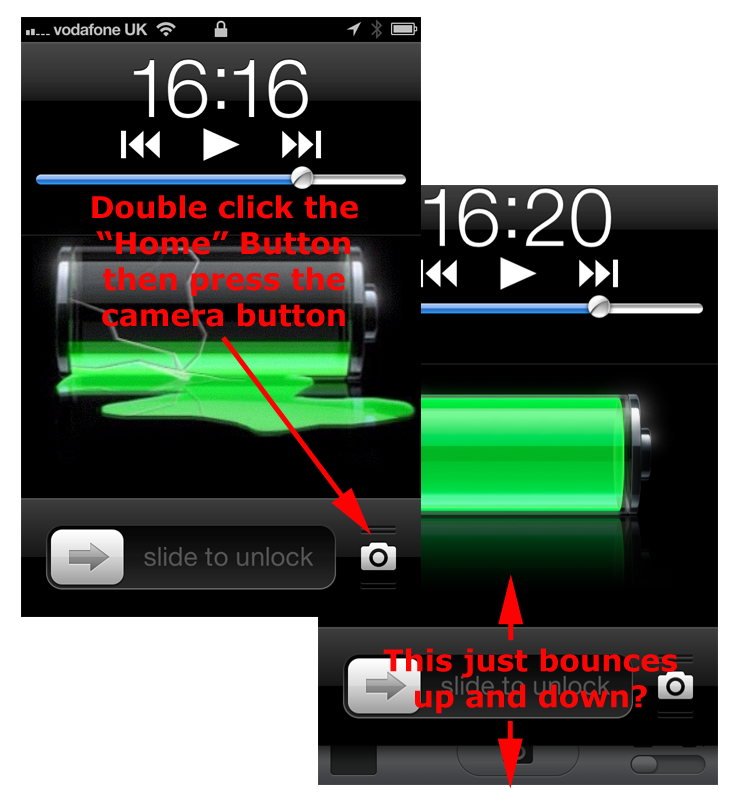 iPhone Lockscreen – Camera Icon Stopped Working ? Home » Apple » iPhone Lockscreen – Camera Icon Stopped Working ? A while ago Apple put a shortcut to the camera on the iPhone’s "Lock Screen" that you could access by quickly pressing the home button twice, (you can also access the iPod controls this way). Then you can use your "volume up" button to fire the camera shutter. This is a good feature if (like me) you have a PIN number on the phone and you need to take a photo in a hurry (e.g. a PC has just gone BSOD and you need to get the error message). But for a while I’ve not been able to use this feature, If you press the camera icon it simply bounces up and down. It turns out Apple have simply changed the way it operates. 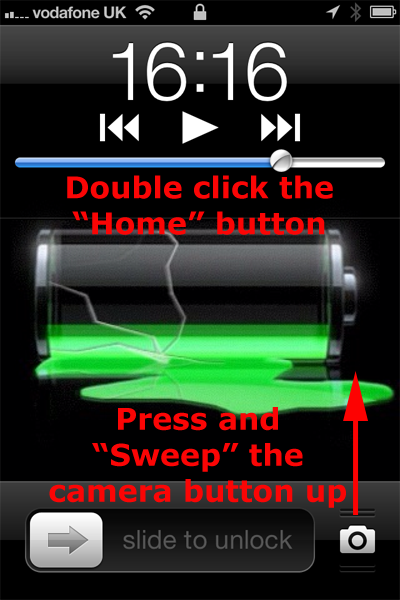 Press the home button twice (as before), but this time don’t press the camera icon "Tap and Sweep" it upwards.